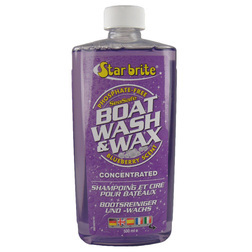 A simple wash and wax solution that in one easy step cleans, shines and protects your boat with a scent of blueberry. The concentrated formula is good for economical use, is safe to use on all metal, plastic, fibreglass, glass, rubber and painted surfaces; providing protection from UV which is a cause of surface dulling. The ideal solution for that really quick 'wash and wax'! 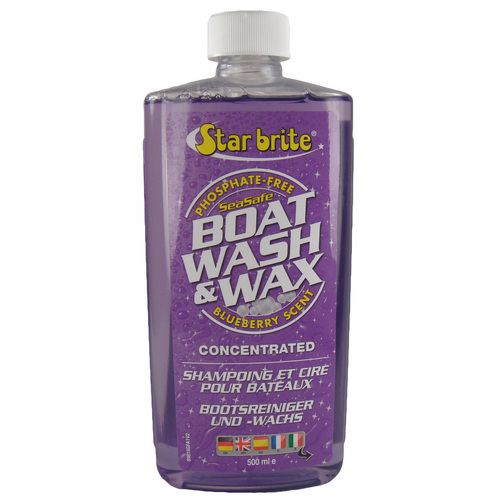 This formula is biodegradable and phosphate free to help the environment.